parkerbol reacted to aurYs's post in the thread [Annonce] Toyota Rhombus: une voiture électrique où vous êtes assis comme dans une baignoire with Haha. Elle sera parfaite pour James Bonde ! parkerbol reacted to Riick's post in the thread [Riick] VW Passat SW GTE with Like. parkerbol a répondu à la discussion Les HSD de Toyota actuels manquent-ils d'innovation ?. parkerbol reacted to Mister MMT's post in the thread Les HSD de Toyota actuels manquent-ils d'innovation ? with Like. parkerbol a répondu à la discussion [Transport] Le transport en commun français : matériels et installations mal conçus?. parkerbol reacted to bludo's post in the thread [Transport] Le transport en commun français : matériels et installations mal conçus? with Like. parkerbol reacted to Prinélo's post in the thread [Scoop!] Futures voitures électriques dès 2019 with Like. 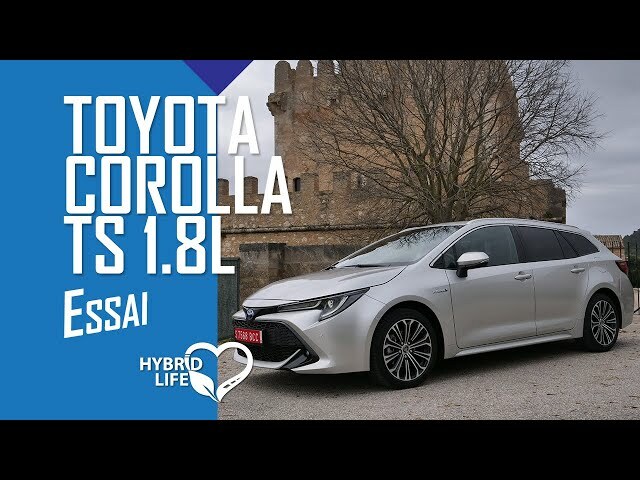 parkerbol reacted to frg62's post in the thread [Break] Essai Toyota Corolla Touring Sport 1,8L et 2L hybrides : l’hybride mondialisée with Like. parkerbol reacted to X2Roz's post in the thread [Break] Essai Toyota Corolla Touring Sport 1,8L et 2L hybrides : l’hybride mondialisée with Like. parkerbol reacted to Mister MMT's post in the thread [Berline] Toyota Camry Hybride 2019: liste des essais presse et médias with Like. parkerbol reacted to lexusdelta's post in the thread [Berline] Toyota Camry Hybride 2019: liste des essais presse et médias with Like. parkerbol reacted to Helvetoy's post in the thread [Berline] Toyota Camry Hybride 2019: liste des essais presse et médias with Like. parkerbol reacted to mark13's post in the thread Rome with Like. parkerbol reacted to bboebboe's post in the thread [Compacte] essai Prius4 Rechargeable with Like.